It’s that time of year when many companies spend an awful lot of money on the production of ‘the perfect ad’ for Christmas. We’ve seen everything in the past…there’s the big budget, catchy jingle of the Coca Cola ad, this year’s low budget Waitrose ad, the ‘all out’ ads from some of the UK’s biggest retailers. I love it. I love seeing how they pitch themselves against each other, try to be bigger, better and improve over last year. One ad that stands out this year is a certain retail chain – ASDA. If you’ve not seen the ad, I suggest you watch it and make your own judgements before reading further. I have to admit I watched the clip thinking of how Christmas plays out at home. Growing up Mum did everything – well, mum, gran, me and my sister. If Christmas had been left for dad to organise, we would have had chips & egg for lunch. There’d have been no presents, no decorations and no feast of special treats. So, I’m very surprised to see the furore over the ASDA ad in the newspapers and online publications. Is it a piece of sexist marketing? Or is it just what happens at home? I wonder whether it’s a generation game? My mum likes the ad, thinks it is true to life. Other, younger friends think it is sexist and the message is wrong. But, what about the other folk for whom the ‘mum’ figure represents the person/people who get the bulk of the work and preparation done for Christmas? It’s tongue it cheek. It’s how Christmas will happen in many households. Mum will do most of the work, while the kids, relatives and other family talk/play/relax in another room. Dinner will be a feast at a table that has been ‘assembled’ for the occasion. Mum (and others) will likely clear up. Finally she’ll get to relax only to be asked about tea. Yep. That’s how it is. It’s not meant to offend. It’s not meant to be sexist. If it makes you feel better, take out the mum figure, replace her with the person at your house that gets it all done. Does that work? Years ago I wrote a blog post about whether I considered myself a marketer or a marketeer. The answer for me is clear. I am a marketer. I am not a marketeer. I did a degree in marketing, I’m a marketer. There are people who refer to themselves marketeers. Marketeer sounds like someone is making a joke of marketing (that’s never happened before, has it?). I don’t like it. It’s a cross between marketer and musketeer. Did I miss another memo? Those of us with a background in marketing have been watching as the discipline changes and adapts over the years. But, recently, I have the feeling I missed another memo, this time about content marketing. When did outbound become unfashionable and inbound become the ‘in’ thing? I recently attended an event about content marketing where the presenter, Stan Woods of Velocity Partners, talked about the changes in buyer behaviour driving this change. He shows us a video which contained some amazing facts and figures to back this up and then went through some great examples of how to make content marketing work for your company. The lightbulb moment for me was talking about getting marketing off the rails. You know the kind of marketing I mean, when a company broadcasts why it thinks its products are fantastic and why everyone should agree… Content marketing is the kind of marketing I’ve always believed in. The kind I’ve always tried to do. And now, it seems, it’s the ‘revolution’ we need to help our companies survive. The big mindset shift has yet to come with companies who are bound to their product release schedules. Can they really get to the point where they understand what a content marketing strategy is and why ‘me, me, me’ or ‘me too’ marketing won’t work anymore? Buyers will research products, benefits, features, pricing, customers and reputation before they purchase. Your press release or advert won’t necessarily tip the balance in your favour, but showing your expertise, demonstrating value and having a ‘voice’ in the market, will. The secrets of success? Creating great content is a must. Having outstanding copy is a must. Utilising analytics is a must. Understanding your customers is a must. There’s still much to learn as content marketing evolves, but I’m ready. And, no, I didn’t miss the memo! I’m passionate about the change, I’m happy I’m involved and looking forward to what’s next in marketing. Stan ended his presentation with the following words of wisdom: ‘We’re only as good as our last piece of content.’ How very true! *all being my view of the world. Facebook, Twitter, LinkedIn, and Google+ represent a growing number of social media/social networking sites. Whether you like them and use them or not is irrelevant, their growth and popularity shows they are here to stay. When I was a fresh-faced graduate the chatter was about having an email address. Networking within an office was unheard of and sending an email to someone sitting at the desk opposite wasn’t the done thing. But today, everything is shared, communicated, written, developed and discussed using social networks – both from personal and professional perspectives. And so the lines blur between our personal and professional lives. Where do we draw the line? Both from a business and an individual perspective? Recently there have been a few headlines about handing over a Facebook ID and password prior to interview. Should Facebook have any bearing on your job prospects? And Twitter? When I joined my previous company I was already Tweeting about everything to do with marketing. It was my ID, my followers, my network and therefore nothing to do with my company, right? I was happy to carry on Tweeting about my exploits in marketing but was always careful to keep my company’s name out of it. My ID, my decision. But, if your company encourages you to Tweet about your company from your ID and you build followers on that basis the lines become blurred. Who really owns the ID? The legalities of ownership are being challenged in the courts as companies seek to make the very best from the rise and rise of social media. As a marketer, I want to encourage my team to Tweet, to use LinkedIn to engage, share content and to build relationships. I would argue that if you build Twitter followers as a result of interesting, thought-provoking, humorous or fun Tweets, then those followers really won’t care where you work. They follow you, the individual. But what does your company think? Can your company influence your Tweets (or other social media interactions) to enhance its own reputation? Is it OK for your company to take advantage of your followers, your reputation and your relationships? Does your company have a social media policy? Have you read it? Do you understand the limitations of what you can / can’t Tweet about from a work perspective? Does your marketing team provide you with Tweets that you are encouraged to share? Do you retweet your colleagues? Or comment regularly on LinkedIn groups? All of these questions have been posed recently by various people, groups, associations and companies. Who has all of the answers? There isn’t one definitive policy that covers these. So, for the moment, be mindful of what you Tweet, where, when and how much you talk about your company. ‘Social’ is here to stay. What you say today on the Internet won’t just go away tomorrow – it too is here to stay. Marketing has changed a great deal since I was a fresh-faced graduate in my first job. I was keen, full of enthusiasm, passionate about what I had learned, but, I was oh, so very green and totally oblivious to the ways of the business world. Luckily for me, I had an opportunity to work with a great boss. I gained a lot of knowledge working for him, then working with him and from him becoming a mentor. I was lucky. Very. I knew what I wanted from my career, and with guidance from my mentor, how I could make that happen. He was a sounding board, a font of knowledge and someone who’d been through it many years before. Today’s graduates may not be so lucky. They are entering a business world where bosses (and other colleagues) are stretched beyond belief, not to mention stressed and there are few companies that offer a mentor/coaching or ‘buddy’ system as part of the HR function. Whether you’re new to the business world or you find yourself in need of a little bit of guidance, where do you turn for support? For its members the Chartered Institute of Marketing provides a mentor service through it’s branches. The Mentor program is a great way to find a marketing mentor, to meet new people and to find that extra support when you need it. I recently attended a mentor event with my local CIM branch. It was wonderful to meet so many new people, to talk about marketing, business, and career paths with them, but also quite upsetting that so many organisations just aren’t doing enough for their employees. For example, with budgets squeezed, a number of companies are not offering ongoing training/development options to employees. Those employees are struggling to see how they can possibly progress in their careers as a result. Not only that, they find it hard to see where their future lies within the current company. The economy will take some time to recover from the ‘recession’, so as senior marketers we have to make sure we do our best to support the next generation as they come up through the ranks. Cloudforce 2012: social, social, social. Cloudforce 2012 hit London on 22nd May with the big “Social Enterprise” message. The venue of the event itself was spectacular, set at the London Excel in the docklands. A bit of a trek, but well worth the journey. Once you get past the awesomeness of the venue, as a marketer, one could not but admire the efficiency and the smoothness of the entire process! xchange a smile with the person behind the counter and you are all set to go. 6 break-out rooms, an expo packed with sponsor booths, breakfast, 2 hour (yes, 2 hour!) long keynote and much more. I cannot get over how much print material is still used. Almost every attendee was walking around with either a smartphone or tablet – why exactly all of the material cannot be delivered digitally, well I will save that thought. Sessions were not a lot to write home about for me, save one on Rypple (more on that shortly). But the Keynote, was fantastic! Great story on the Social Enterprise. There is a lot of general tendency to think that the new boys in town such as the Facebooks, Twitters, the spotifys, the Zyngas, etc are the kool kids with cool office spaces and new ways of working. Debunking the myth were HP, Kimberly Clarks and Toyota, showing that perceived Grandpa companies were on with the trend. In fact in some cases leading the trend. Toyota’s innovative concept of “make your car your friend”, was amazing! It is easier to start from scratch. I am finding myself have new found respect for established companies that are being able to successfully transition and adopt new ways of working to take advantages of the social and technological revolution. Of course, every story was underpinned by Salesforce that provided the technology and platform for these companies to achieve this. Embed social into every organisation’s DNA, and Salesforce will help make that happen. The beauty of all the systems is that how well they integrate and work with Salesforce’s core cloud platform. Seamlessly integrating with each other, adding value at every stage, every layer. They appear to have carefully considered how every piece fits together, to deliver absolute value. For organisations that want to go Salesforce all the way, and have the pockets to support some of the price tags, its perfect! So what if you don’t have the pocket to support the costs associated, but some pieces of their technology is really good? Well, no worries. One thing Salesforce seem to have nailed is providing open APIs. So you can decide to utilise parts of their eco-system, and believe me there are some neat ones there, and integrate with other systems you maybe using. But then, be prepared to do a little plumbing work yourself or get someone in to do it for you. If Salesforce’s goal was to make things simple, easy and seamless – I feel they have achieved it and are set for a great course going forward. But if you are looking for ways to empower, encourage and create openness, Rypple is spot on! I will happily admit the first thing I did on returning from Salesforce was to send a note to my team and sign up for a trial. 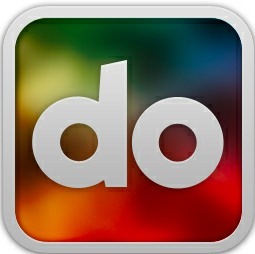 Do.com: Another excellent little tool. Salesforce bought these guys only a few months ago. There is no dearth of systems out that provide to-do list functionality. Yet, I loved the simplicity of do.com. Their integration with Google Marketplace is superb, which means you can create a task from within your gmail console directly, and attach google docs. Their neat little app sends you notifications and much more. You can also create separate groups of projects and invite separate collaborators for each group, add multiple email addresses and more. They solve some really small niggles really nicely. It doesnot come with much workflows etc yet, so if you are an OmniFocus fan, and love their review system etc, do.com might leave you wanting. How in the world did they manage to get that url?! Concur: If you are a business traveller, you will know my pain. Its called expenses! For long I had been looking for a tool, that will virtualise my receipts, make it easy to collate with my smartphone, log it on a server I don’t care where. Every month it automatically generates my expenses, which the finance team can downlod, seek approval from my boss, and get paid! Aloha Concur! Sounds sweet. There is lemon.com as well, they have a neat app, but they are still working on their business edition that automates the expenses reporting. Something I will be signing up for a trial and hoping can then be rolled out within the organisation! On the whole, Cloudforce 2012 was a great event and really well organised. Salesforce delivered, and delivered powerfully on their “Social Enterprise” theme. It left you informed and inspired as any good event should. If you want to watch any of the Cloudforce sessions, check out their facebook page. Although, they do ask you to like the page first before you can watch any of the sessions, cheeky! Did you attend Cloudforce 2012 UK? Do share your thoughts in the comments below. Mobile Marketing is a term that conjures up many different opinions when you ask people what it means to them. Ask them what return they want from it and those opinions differ too. With consumers and businesses making use of smartphones and iPads to access websites and a plethora of apps wherever and whenever they choose, getting your mobile marketing strategy right is becoming more and more important. You have a website already and you’re ready to think about mobile, so what next? To app or not, that is the question. If you have a website, review your digital strategy before you jump in with an app. Think about what your website does today, how and where people use it and the journey you want to take people on. Does your website achieve the objectives you have set for it? What would an app deliver in addition to what your website does today? Apps are cool. The devices we use to access them are cool. But, does that justify the development expense? Or ongoing costs for new versions? How will you show a return? For most of us with a responsibility to show return on investment (ROI) it will come down to results. Rather than building an app to it is better to ask ‘whether your website is mobile friendly or not’? Does it play well on multiple formats? Has it been designed with the customer in mind? Do you give your customers a single view regardless of how that customer interacts with your company? If we don’t deliver what the customers what to see, in a format that they prefer, we lose out. When it comes to your digital strategy, think about that you want to get out of your website and the journey you’ll take customers on. Cool comes later.